Have you ever used Windows Movie Maker? Well, if you try to edit a video using its video editing tools, it will take a considerable amount of time and the output won’t be as per your expectation. So what will you do if you have to edit and create a video by splitting, trimming and attaching video files without any loss within few minutes? Well, here comes the alternative of Window Movie Maker, which are a good quality video trimmers, splitters, and joiners that can complete these tasks more efficiently, better than all purpose video editors. They complete the work without any requirement to re-encode the source video. Splitting – To chop and edit a video into smaller pieces so that you can extract or copy any particular or specific scene or upload to the Internet. Each of these split files can be played back too. 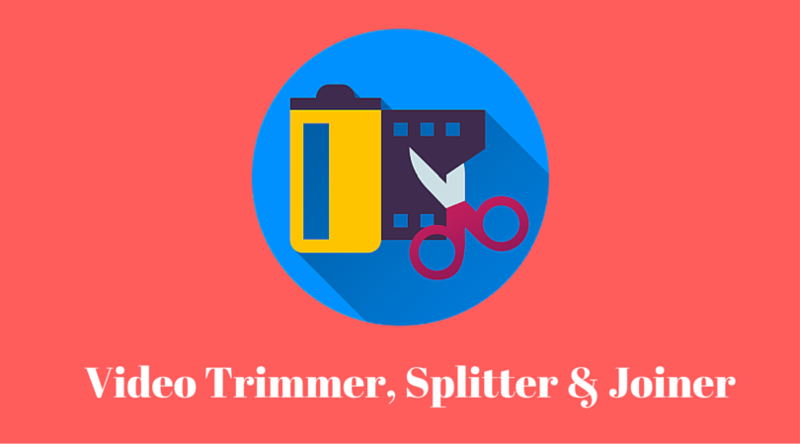 Trimming – To cut and get rid of the wanted sections such as advertisements in a TV recording. Joining – To add and merge video files. This works mostly in the case of video files which have a similar format, like same resolution, bitrate, etc. The video trimmers, splitters, and joiners that are reviewed here are way much lighter than all-purpose video editors and generally have all the advantages of carrying the same codecs that you have in your source video files. Although an all-purpose video editor has many advantages, in certain cases, it takes more time and often produces poor quality output due to lossy re-coding or any inappropriate settings. Ease of Use: Precise and convenient selections, keyboard shortcuts and trimming choices. Performance: Accurate yet faster results without any unnecessary re-coding of videos. Input Formats: There should be more formats. Many freeware only accept one or two formats while other accepts even more. Features: Some tools specialize in the particular task while others may provide you to split, trim or join videos via a single program. This is free video cutting and joining application. It supports multiple formats such as mp4, avi, mpeg, ogm, flv, mkv. While it is relatively easy to us, it is the best tool for splitting video files in mp4 format. Due to its simplicity and ease to use, it is a good tool for the beginners. This tool gives fair quality output. This also has the ability to join video files, which is convenient in the case when many different segments of any large file that need to be cut out and then put back together. But there are other issues which go against this tool like audio and video playback is quite poor when editing. It is more liable to crash and is not able to save video in copy mode. Talking about the AsBinWIn graphical interface version of AsfBin which is a command line utility along with preview capabilities makes it a great choice. It is not only free and lightweight but also available for non-commercial use and joining wmv files. It can easily fix and re-index wmv files that may have gone corrupt or may contain some errors. This software supports different formats like wmv, wma, and asf. It’s a splitter, trimmer, and a joiner application. It comes with fine tuning controls and delivers frame-accurate cutting. Its ability to fix and re-index almost any file makes it quite useful for recorded live streams. This software is also very user-friendly for the beginners because of its simple interface and greater ease of use. Try these software, make your videos and let us know your experience. Don’t forget to leave your reviews and suggestions in the comment section below.